He played well. He'll be disappointed by the last 5 minutes where he allowed Vardy two opportunities to score. Takes risks when he barges people around especially in the box but a good performance. Just got to keep himself fit. Be great if he can form a partnership with Lindelof as they’ve got the attributes you need just need to learn how to work together as defending is about working together you need to know what your mates going to do so you can cover him. Must keep him injury free. Still young and developing so mistakes and lapses have to be expected but he needs games to iron those flaws out. Same for Lindelof. Talent wise they are our best CB’s and compliment each other well. Not sure why he was dragged out wide for the first goal. Or why he decided to give a corner for the second goal. Or why he dived in for the penalty. His worst game in a Utd shirt? Started badly got worse and head was totally gone by the end. That’s why Jose wanted an experienced player next to him as he’s not a leader he needs guidance. I think I must be way out of touch these days. There seems to be an idea that bailley is our best defender. I think he is our worst. He makes bad decisions, he is always out of position, he can't time his jumps and to me doesn't have a brain. That was one of the worst performances from a United player that I can remember. He isn't anywhere near United's best centre back. Fans are fooled by blood and thunder defending and last ditch tackles. Bailly has talent but he’s very rash and naive he’s young and not very experienced needs a calm head alongside him to get the best from him but none of our centre back options bring calmness to the back 4 it’s always chaotic whoever we put in. Probably a good defender in there but he’s still incredibly raw and it’s not a good sign when you’re 24 and still being considered raw. He’s not inexperienced so should be a lot more composed back there but yesterday it was horrific. He was naive, rash, clumsy, loose touched... I could go on. He looked like falling over whenever he got the ball. The tackle for the penalty was horrendous and showed a lack of game awareness. It’s either a 9/10 from Bailly or a 1/10. There is never anywhere in the middle. They pair of them played like sunday league centre backs, just embarrassing! I just think his head went yesterday he made that error giving away the corner which they scored from and rather than just move on from it he kept trying to make up for it this resulted in him giving away a stupid penalty because he was desperate to make up for his error. Head went and that happens with young players rather than let a mistake go they try to make up for it top players just move on from it and maybe having a more experienced head alongside him would help him with that instead he's got Lindelof who's the same bag of nerves. Nervy start but grew into the game. He is unpredictable/erratic which does make his partner's job more difficult. I think he's down the pecking order with Mourinho but you'd hope last night puts him back towards the good books. We seem to have basically had to write off Rojo and Jones so he's only got 3 CB's to pick from so think there's plenty of games for Bailly but it's back to Smalling +1 I think which is fine if we just want to compete for top 4 but it's not fine if we want to win titles. Bailly's lack of development over the last 2 years is dissapointing he's had quite a lot of injury problems but he still doesn't seem to be improving as a player still looks like the rough diamond he was when he arrived. I still don’t get the attitude towards Smalling. He’s no worse than the likes of Otamendi, Stones etc and they are in title winning sides. I think if we can get a top class partner next to him I wouldn’t mind Smalling continuing to be first choice. He has his flaws obviously but I think he’s better than he’s made out to be. 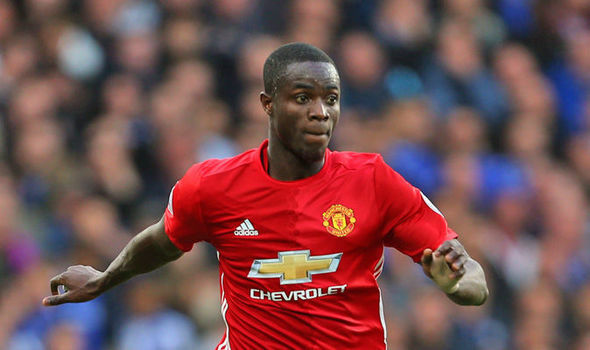 I hoped Bailly would be the man to shore up our defence but he still looks raw and erratic! There is obviously time to improve but to me he has that style that is always going to make him look shaky as hell. The attitude is simple he's good enough to be in your squad to win the league but I don't think you will win it with him as a starter in the majority of games. 1) because he has those calamity games which cost you there's only maybe 2 or 3 of these a season but they happen and 2) his passing is very limited. I think he's fine vs the middle/bottom level sides but the top sides will take him to the cleaners as they have done consistently over the last 5 years. Smalling has done a great job considering where he's come from to get to the level he's at but I don't think he stepped up to Utd level when he got in the team we stepped down to his. For me of the 5 we've got he's the last one who should be sold. Jones/Rojo out and buy 1 proper quality centre back was always my hope this summer basically get 1 top class centre back and hope they can bring through Lindelof/Bailly who clearly need someone to help them at this stage of their career then you have Smalling as the cover if that new centre back is injured. Bailly to me sums up a lot of players at the club they just aren't developing as individuals which can only really be a failure of coaching/management there must be something wrong with the culture. I would only keep Lindeloff and Smalling. Bailly just isn't doing it for me. Not really sure. His confidence must be at an all time low. But he makes me nervous as a fan, I hate to imagine how he makes his team mates feel. These performances by our centre backs show that Jose should have been backed in the market. Think that’s him done subbing him made no sense don’t think he was responsible for either goal hopefully the manager speaks to him behind closed doors and explains to him it wasn’t anything personal just a roll of the dice. I've not seen a replay of Newcastle's second goal, but I thought he was at fault? If true, I can understand why the club were reluctant to spend big on an aging defender given the fall off we've seen with Sanchez and now Matic. I’d stick the blame on Young the attacker was allowed to turn way to easily and get a free shot off. Think De Gea could’ve done better it was well struck but it was basically straight at him. He was way out of position for the original through ball. That ball came down the left hand side of the defense though so I put a lot of that on Smalling. In no way whatsoever was the first goal Smalling's fault. I'm not actually blaming him. I'm just saying it came from the left side so if Bailly is getting blamed by some then Smalling should. Ultimately though it was on Young for being turned too easily and the midfield for not getting pressure on the ball before the pass. Bailly and Young are at fault for both goals. Nothing to do with Smalling.